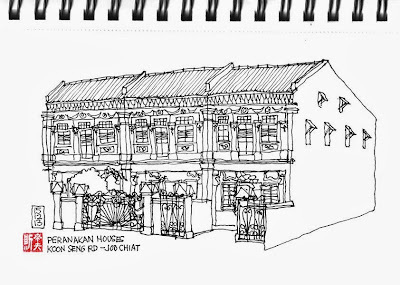 Last weekend's attempt to sketch some of the Peranakan houses on Koong Seng Road was abandoned due to large soggy blotches on the paper from torrential rain. A second attempt this weekend was cut short by an equally substantial downpour which required the gates to be finished at home. 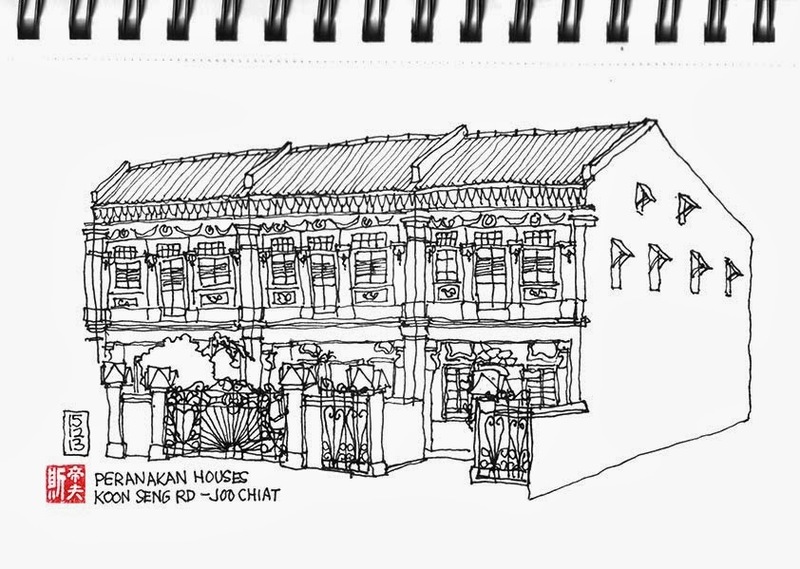 One day I'll be brave enough to add colour on site.